White oak stair parts for use ith 41mm stair spindles for a grander look and feel. Make a staircase that will be the main feature in your home. Staircase baserails produced in a high-quality American white oak for a classic look. 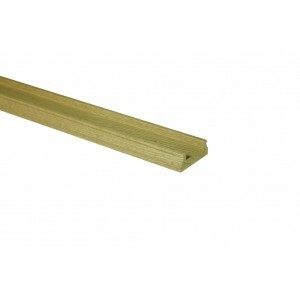 Continuous handrail baserails for stair and landing balustrades. Our range of over the post stair parts in white oak will give you a stunning staircase with the smooth flowing lines of a continuous handrail. This Classic range of bannister parts for stairs and landings is beautifully crafted in the finest warm and mellow tones of straight-grained American White Oak. The Classic Oak collection from Richard Burbidge features sweeping handrails embellished with volute turns that will enhance any large hallway and produce a stunning focal point.